21 Mar Mosquitoes Appear in March. What to Know about Early South Carolina Mosquitoes. Mosquitoes are a common spring and summer pest in SC, but when do you have to start worrying about them? Those who live in the Hilton Head area might start running into problems with these pests in March when the temperatures begin to climb. 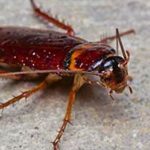 It’s important to know more about these pests, so that you’ll know when to get help from Hilton Head area exterminators. Mosquito season varies in different areas based on certain factors, such as temperatures and moisture. In SC, mosquitoes often have the mild temperatures and moisture levels that they need to emerge from hibernation. Once they come out for the season, they keep busy laying eggs. 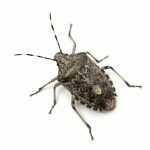 Since these bugs show up so early compared to more northern areas, it’s important for homeowners in SC to protect their yard and home from these pests with help from Hilton Head area exterminators. Mosquitoes that show up in March begin looking for blood meals, which they need in order to lay their eggs. This means you can expect these bugs to start biting you and your family when you’re outdoors. Mosquitoes lay their eggs in standing water, where they end up hatching. When they grow to be adults, they leave the water and begin reproducing. Mosquitoes in SC are able to lay a large number of eggs several times each season. Most native mosquito species in SC come out in the evening and at night. However, the invasive Asian tiger mosquito is out and about in daylight. These mosquitoes make it even more important for homeowners to have Hilton Head area exterminators treat their yard, since you and your family aren’t safe from their bites when you’re out during the day. Mosquitoes are enough of a nuisance thanks to their bites, which often cause an itchy reaction for many people. 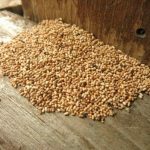 Having these pests around can be an even bigger threat than itchy bites, though. Some mosquitoes, including Asian tiger mosquitoes, spread diseases that can make people ill, such as West Nile virus and Zika virus. Pets are at risk as well, since some mosquitoes can spread heart worm disease through their bites. 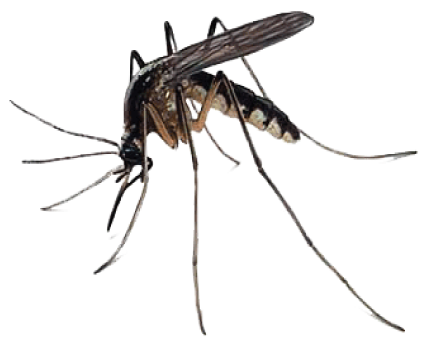 – Seasonal monthly mosquito spray to get rid of mosquito populations and breeding. – One time event mosquito treatment for family gatherings or other events in your yard to keep guests safe from mosquitoes. – Mosquito misting systems that give you control over when to treat your yard throughout spring and summer. – Mosquito system takeover for when you already have a mosquito control system set up. – Get rid of any standing water in your yard. This means emptying out bird baths, dumping water from pet bowls and making sure that there are no other sources of standing water in your yard. Eliminating this water gets rid of places for mosquitoes to lay their eggs. – Use mosquito repellent products when you’re outside. This helps reduce the risk of having mosquitoes bite you, whether you’re out during the day or at night. – Cover your arms and legs when you’re outdoors. Wear lightweight clothing, such as shirts with long sleeves and long pants. If you’re already seeing mosquitoes in your yard or want to get started on mosquito prevention, our Hilton Head area exterminators can help. Contact Island Pest Control to learn more about how we can treat your yard for these pests.